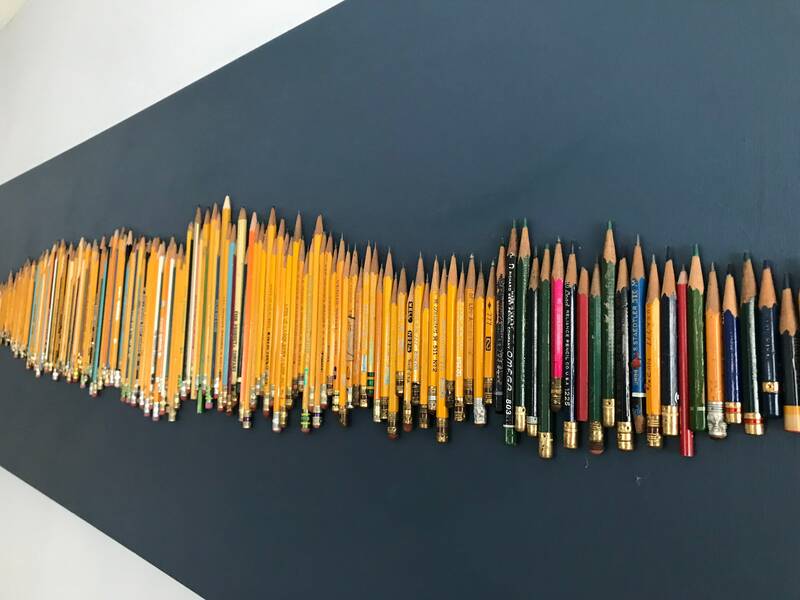 Vintage pencils found all over the United States arranged in a pattern. They are a conversation piece as well as a wonderful sculptural piece for any home or office. 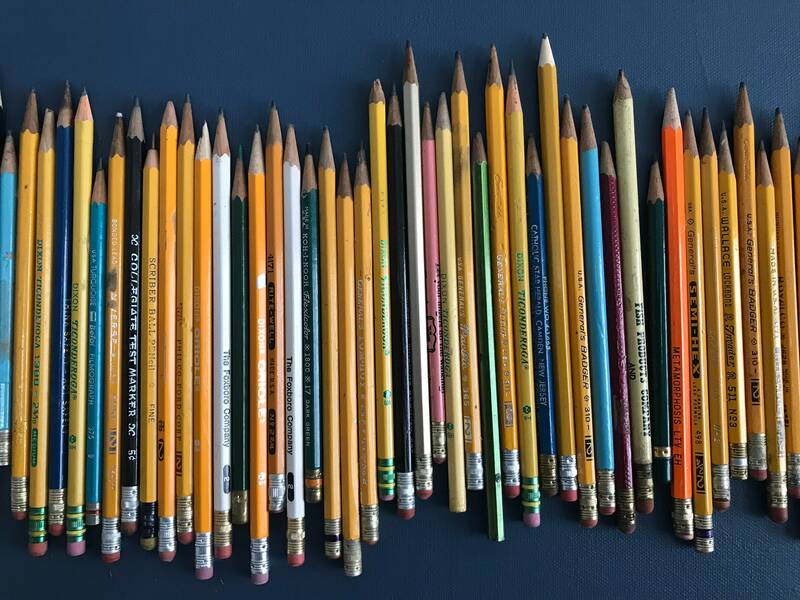 Each other pencils tells a little story. Beautiful deep blue painted background.